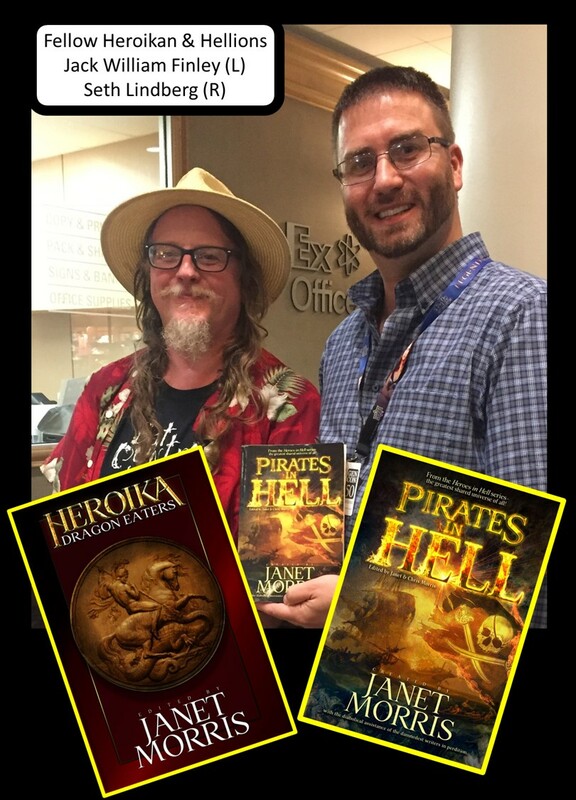 I got to meet fellow Heroika:Dragon Eaters & Pirates In Hell author Jack William Finley! SEM17121201 Business of Writing: Hybrid Publishing—Covering All the Bases: From self-pub to large press, they discussed building sustainable writing careers. With Steve Drew, Gail Z. Martin, Linda Robertson, Matt Forbeck. SEM17121231 Writer's Craft: Drawing from Mythology: Great topic including an author/editor I follow, Howard Andrew Jones. 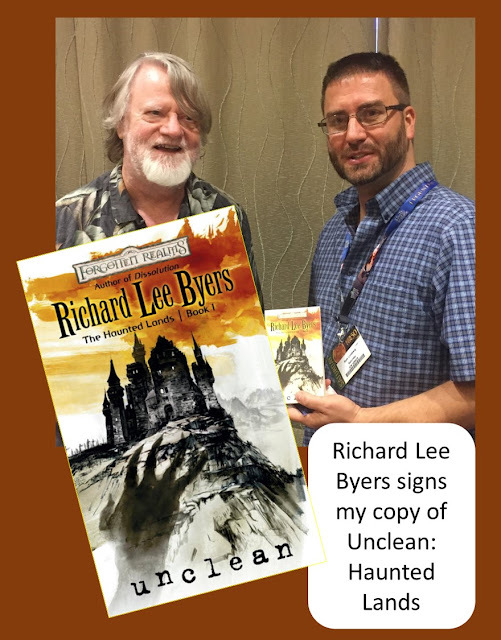 He introduced me to Black Gate in 2010, so I was thrilled to get him to sign the 2011 Spring edition in which he is featured. He was most passionate about clarifying the loss of character synergy in Star Trek renewals. 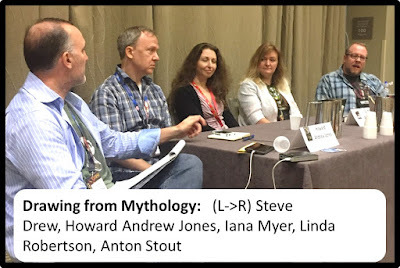 Cripes, I just saw that artist Donato Giancola was at Gencon (he did the coverart for Black Gate Magazine's last print issue (#15 2011 spring)..ie the one in this image). 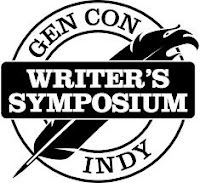 Gen Con was so big, I never got to the Artist alley; Long live Black Gate! SEM17121205 Writer's Craft: The Art of Adding Details: How do you add details that enrich your story without going too far and overwhelming the reader? 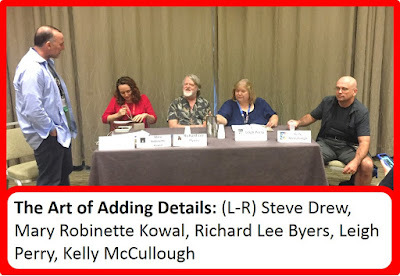 Featuring Steve Drew, Leigh Perry, Mary Robinette Kowal, Kelly McCullough & Richard Lee Byers.